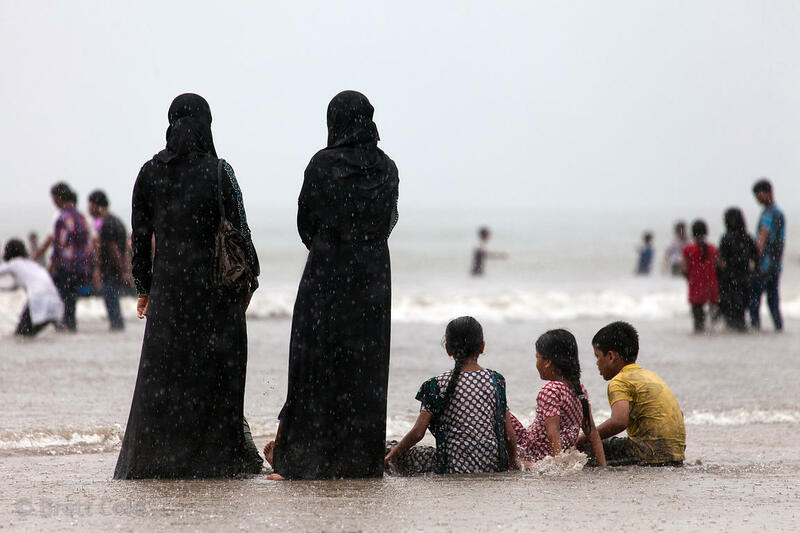 Muslim women and children in the Arabian Sea during a monsoon rain, Juhu Beach, Mumbai, India. © 2019 Brett Cole. All Rights Reserved.